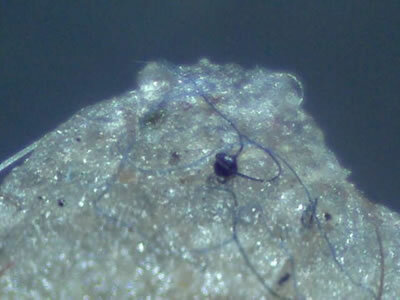 Morgellons is characterized by red, blue or black filaments that emerge from skin lesions. The sufferer also feels itching and crawling sensations below the skin. Morgellons was first named by Mary Leitao, a Pittsburg biologist who took the name from a centuries-old medical paper describing what may be a related illness. Dermatologists are skeptical; they see it as a form of delusional parasitosis and note that it can be associated with schizophrenia, obsessive behavior, bipolar disorder, depression and anxiety disorders. The United States Centers for Disease Control (CDC) has contacted Kaiser Permanente Northern California to investigate the problem. The Armed Forces Institute of Pathology will also participate. The study will take at least 12 months to complete. "The cause of this condition is unknown," said Dr. Michele Pearson, principal investigator with the CDC. "Those who suffer from this condition, as well as their families and physicians, have questions, and we want to help them find meaningful answers." Last year, the CDC received about 1,200 inquiries about the disease from both patients and physicians. At present, the CDC refers to Morgellons as "unexplained dermopathy." Here's a short video of some of the problems associated with Morgellon's Syndrome, with some close-ups of the disease presentation. He turned and looked at himself in the bathroom mirror... His chest was splotchy and red from scratching and rubbing. He rotated and peered over his shoulder at his back. Read more at CDC To Launch Study on Unexplained Illness - CDC press release and Study seeks clues on skin-crawling Morgellons syndrome.